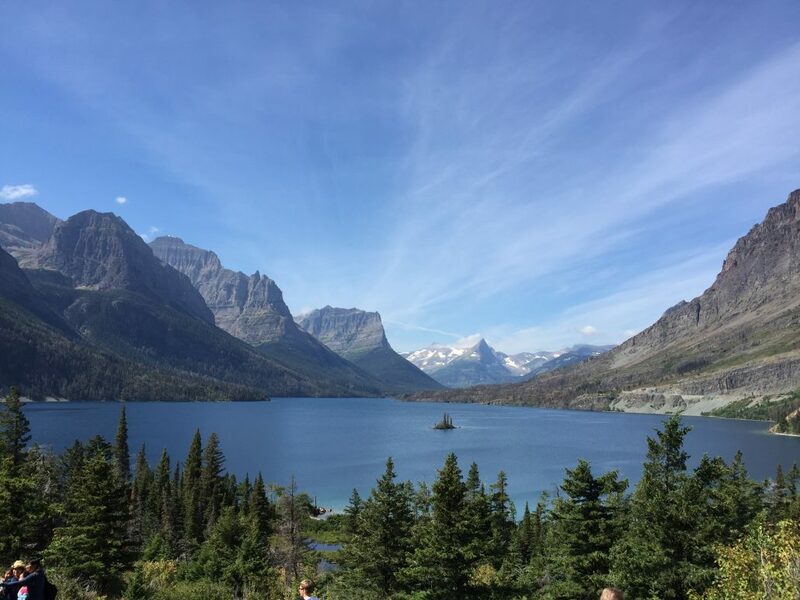 While visiting Glacier National Park last summer, my wife and I booked a tour of the park on the Red Bus Jammer Tour. We decided that we wanted to let someone else drive the narrow, winding roads so we could enjoy the spectacular scenery and views. In addition to riding in a vintage bus, which immediately captured my interest, our tour guide made the 6-hour tour exciting and interesting the whole time. She practiced and exhibited what I call the 3 E’s of Guided Tours. Our tour guide was excited to be there. She was excited for us to be there. She greeted us with an energetic smile, outlined what we would be doing and seeing, and asked if there was anyone that would like to ride co-pilot as this was her first day and she wanted someone to take over if needed. As it turned out, of course, it wasn’t her first day. She and her husband had been driving Red Jammer Tour buses for several years and had been working at the park for 14 years! What was so amazing is that she maintained that excited attitude the whole day, as if it were her first day. Our Tour Guide made the entire day exciting. 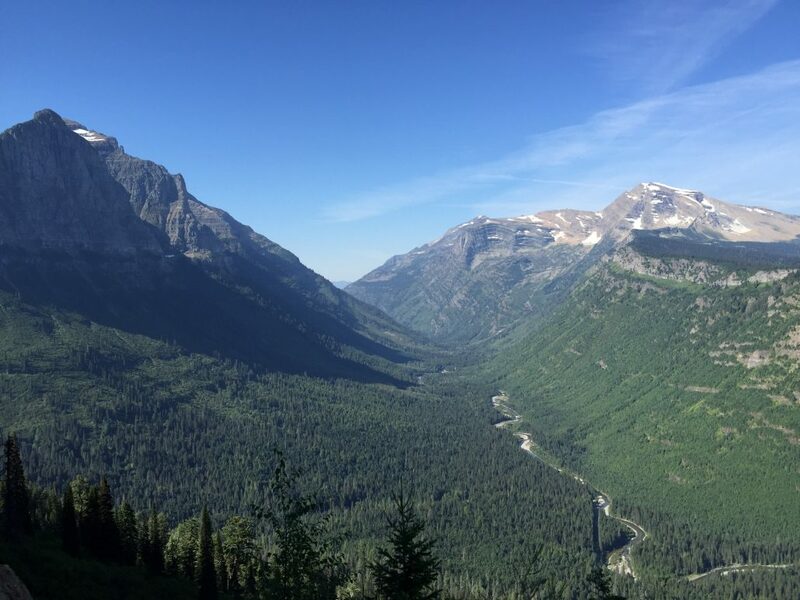 She was an encyclopedia of Glacier Park stories and facts like “National Parks are to Protect and Preserve”, how recent fires had destroyed so many acres, bear sightings, and the status of the remaining glaciers. She pointed out several features along the tour that were her favorites: waterfalls, stories of the Lodges, and the best photography locations. The tour was an enjoyable and memorable experience. We have told friends about our Glacier tour and have recommended it to many. 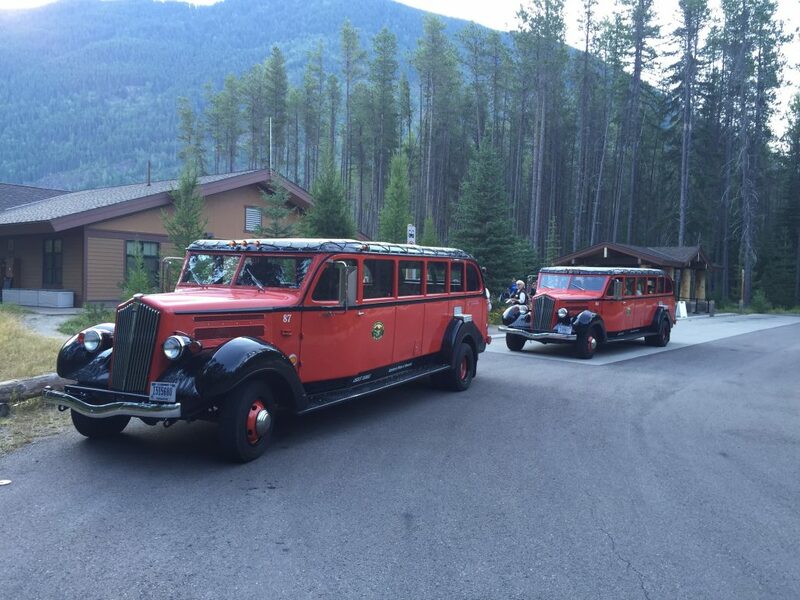 Our tour guide made the Red Jammer Bus Tour of Glacier a complete experience, exceptionally packaged and presented. (Mother Nature did a great job too). For excellent guided tours, try using the Guided Tour 3 “E’s” Principles.